This week I’ve experienced a distinct feeling of fall at Coppertop. With one month of summer remaining, change is in the air. 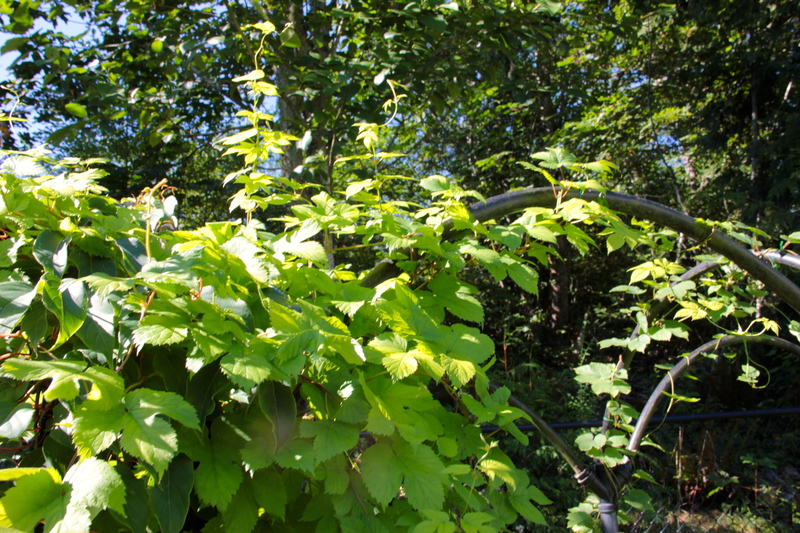 The alder and maple trees have begun their slow leaf drop, and the rake has emerged from the garden shed. 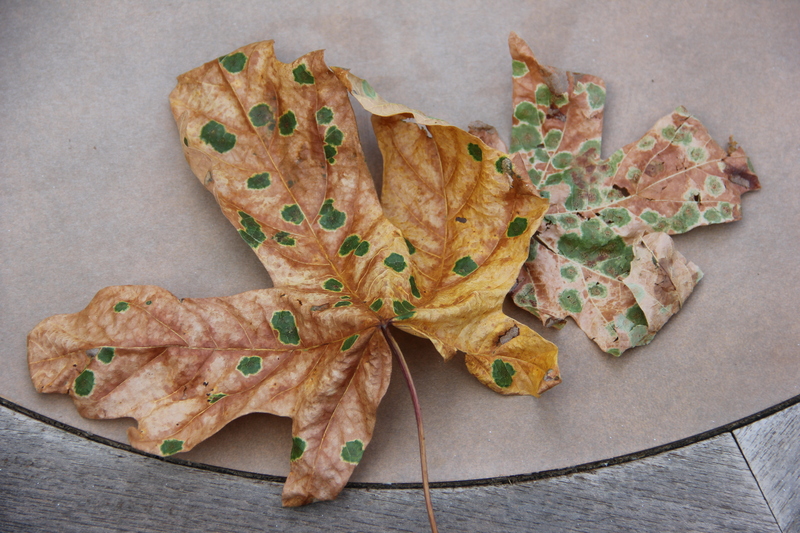 The polka-dotted bigleaf maple leaves are an amusing surprise. Thinking of my amazing nephew, Danny, today as he throws his annual home-brew party! Wish we could be there to celebrate the unveiling of his yummy, new creations. 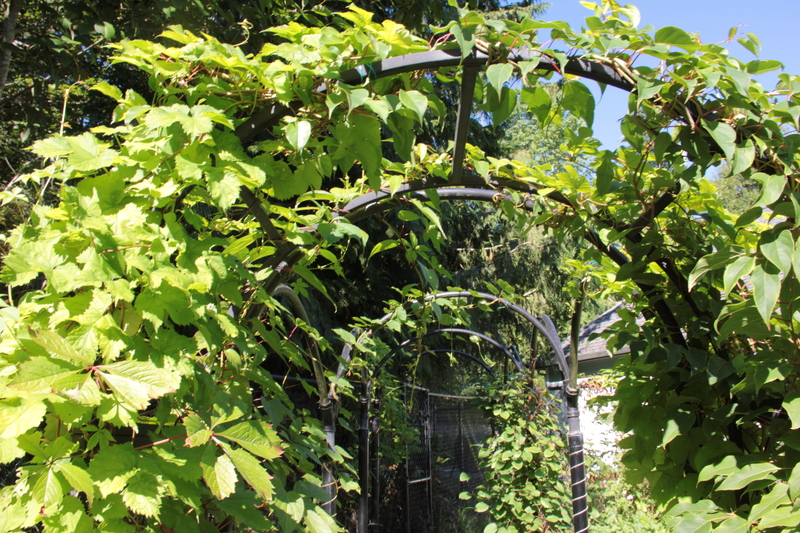 I suppose it’s in Danny’s honor that my hop vines have never looked more verdant than they do today! This entry was tagged bigleaf maples, Coppertop, fall, gardening, hop vines, hops, Olympic Peninsula, polka-dotted leaves. Bookmark the permalink. Thank you for your kind mention of me above. We certainly did miss you guys at the Third Annual Beer and Brats Party and hope you can make it to one in the future as they’re turning out be immense fun and I don’t plan on stopping anytime soon. P.S. Do you know what varieties of hops you have?